While a strong social following on Facebook is already an immense advantage for nonprofits, those fans are about to become even more valuable. Thanks to the introduction of Facebook's "Donate Now" button, it's easier than ever for nonprofits to turn online engagement into meaningful monetary contributions. The titan of social media has always been a logical choice for nonprofits, allowing them to connect with supporters in an environment that feels more personal than a website or print brochure does. Today, Facebook took that relationship to the next level, introduing a "Donate Now" call-to-action button option on both link ads and company Pages. When a user clicks on the button, they see a prompt from Facebook disclaiming that the social site isn't affiliated with the company collecting donations. From there, the user will likely be routed to a brand's website to complete their transaction. Company Page: The "Donate Now" CTA works much like Facebook's other buttons (“Book Now,” “Shop Now” and “Contact Us”) in that it can be added to a brand's company page at any time, and with no cost. When included on a company's Page, the button appears alongside the "Like" button, on the bottom right corner of the cover photo. Link Ads: To scale the visibility of the Donate Now CTA, companies can include the button in link ads, and then promote it as they would any other content. 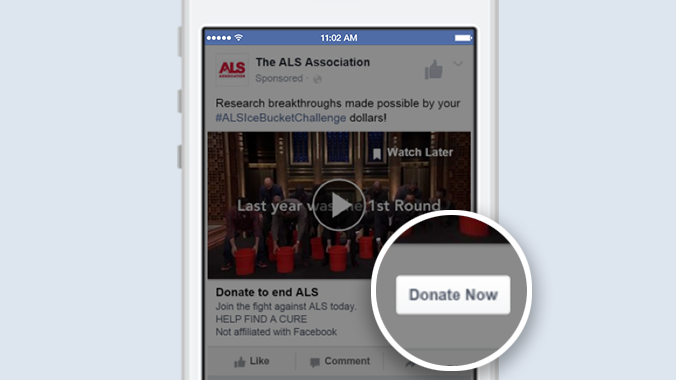 Thinking about including a "Donate Now" button on your page or in your next ad campaign? Here are 3 things to consider. Just placing a button on your Facebook Page doesn't mean users will automatically start clicking on it. Encourage donations by referencing the "Donate Now" option in your regular posts, and consider creating new dedicated content that makes users aware of the button (and how their donations will be used). Visual cues can be a big help as well. Consider swapping your cover photo to include new creative that direct the user to the button—arrows, text, or anything else you can dream up. 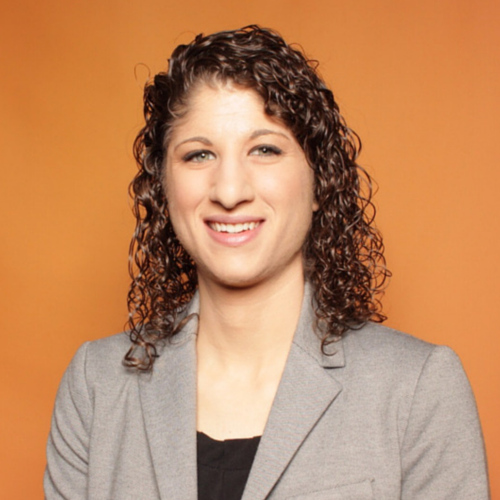 Just as your wouldn't ask eveyrone who lands on your website to become a member of your nonprofit or donate to your cause, put your inbound marketing hat on and segment the audience you reach out to for donations. Avoid wasting ad dollars by targeting your link ads to the users most-likely to donate to your cause. Interest targeting can be a great place to start, as well as behavior, demographics, job title, or connections (friends of people who like your Page already). Need more inspiration? Look at your current database to identify the traits most similar amongst your most generous donors. Kick things up a notch by leveraging Website Custom Audiences to hone in on users that directly mirror exsisting donors in your system. 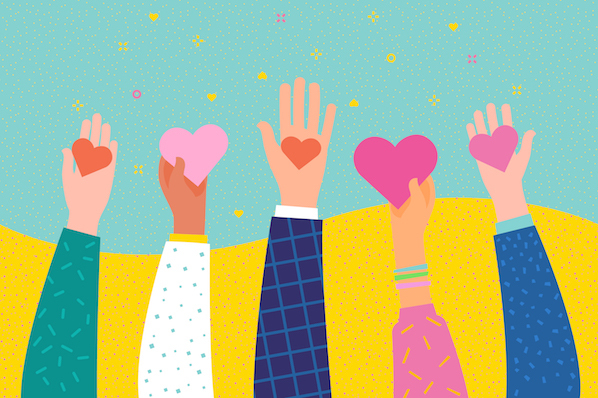 Just because asking for donations is easier than ever for companies on Facebook, it doesn't mean you can neglect the primary reason most users connect with you to begin with. Remember that content comes first, and that creating a personal connection with your fans will pave the road for longer, more valuable long-term relationships. Use your page to showcase how donations are used, and feature stories about the lives that previous donations have changed. Giving is still a two-way street. You have to provide an emotion connection before you can expect your fans to provide their credit card info. As with any campaign, it will be important to track who is clicking on their donation CTAs to measure what type of ROI is coming from their efforts, be they paid or organic. While no one platform can sustain a campaign alone, this update provides a new channel through which companies can drive incrimental donations from social—something I'm sure most nonprofits will really "Like."